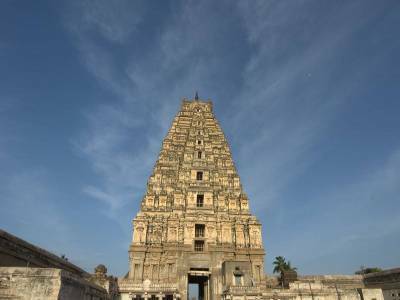 Virupaksha Temple situated on the banks of the Tungabhadra River has been a prominent pilgrimage spot in Hampi for centuries. 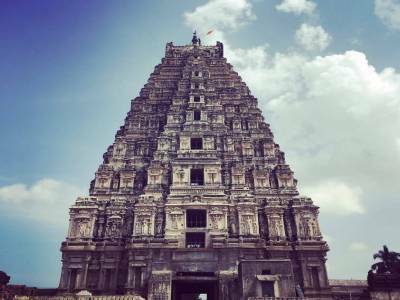 This beautiful stone abode of God is sited 350km from Bangalore and has been entitled a UNESCO World Heritage Site. Lord Siva is worshipped as Virupaksha in this famous shrine. The temple has a main sanctum, three chambers, two halls, one pillared and another open pillared, few smaller shrines, and many courtyards. The structured temple is made out of stone and has intricately designed carvings that amplify the magnificence of the sacred monument. A special feature of the Virupaksha Temple is that it has a small water channel that carries the Tungabhadra river water to the kitchen where the food is prepared for the deity. The temple continues to enthral the crowd and they come in huge numbers during the engagement and marriage ceremonies of Virupaksha and Pampa (the consort of Virupaksha) in December. The chariot festival is also celebrated annually in the month of February. 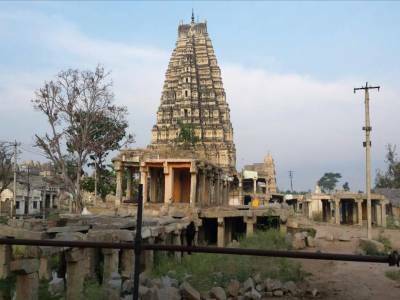 The most unique and interesting part remains the fact that through all the plundering and invading, the Virupaksha Temple stands completely undamaged and speaks for its own legacy. 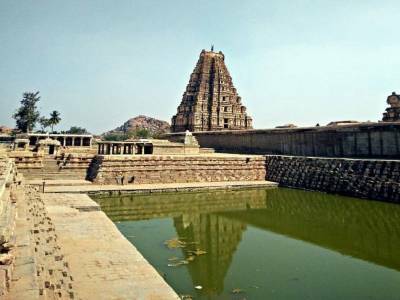 Originally the pilgrimage site was a relatively small one with only the main complex but was later annexed by the Vijayanagara emperors with the course of time. Of all the rulers of Vijayanagara, Krishnadevaraya was one of the chief contributors and protectors of the temple. He was the one who had built the central pillared hall in the temple and commissioned it in the year 1510 AD. Presently, the temple has undergone two renovations and looks absolutely mesmerizing. The shrine has stunningly decorated carvings and depicts images from the Ramayana and Mahabharata including scenes from the childhood of Krishna. Stories from Shiva’s life are also delineated in the monument. All the gorgeous carvings and ancient inscriptions make the temple an interesting and rewarding experience for any tourist. 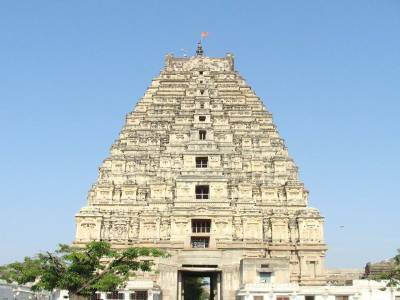 Get quick answers from travelers who visit to Virupaksha Temple.